The famed sportswriter turns to high-school basketball for his latest and shows he’s got some game. Famed fictitious sportswriter Ben Mitchell has packed it in. As the direct result of a story he wrote, a man is dead, by suicide, and so the hair-shirted Mitchell is in self-exile in South Fork, Long Island, his hometown, where he’s spent the past six months trying to get used to the idea that he’s an ex-famed sportswriter, trying to convince himself there are vocational alternatives even for a born reporter. Not easy. In fact, for him, not possible, as he learns when young Sam Perry seeks his help. Young Sam, a senior at South Fork High as Mitchell was before him, has stumbled onto a story that scares him. And well it should. It has to do with the unsolved murder of Bobby Ferraro, manager of the South Fork High School basketball team, seen by some as the nation’s best. Bobby’s death, Sam has reason to believe, might be related to murky behavior (think Deliverance) involving star players. In South Fork, a town emotionally invested to the hilt, investigative journalism aimed at the beloved Hawks is an invitation to a ride on a rail. Sam knows that. So does Mitchell. Ink-stained wretches that they are, however, neither can resist. 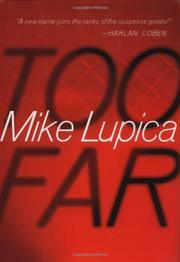 Lupica (Red Zone, 2003, etc.) hasn’t exactly shot the lights out here—plotting goes a bit loose toward the end—but the story is timely and competently told.